LONDON and NEW YORK, March 1, 2018/PRNewswire/– The 2018 ICIS Kavaler Award, sponsored by The Chemists’ Club, will be awarded to Bob Patel, CEO of LyondellBasell, for outstanding achievement as voted on and recognized by his peers. This prestigious and unique global chemical industry award will be presented to Bob Patel at a black tie dinner ceremony on Thursday, September 13, 2018, at the Metropolitan Club of New York, in New York City. The winner of the ICIS Kavaler Award is selected by his/her peers – the senior executives of the ICIS Top 40 Power Players listing, a global ranking of the leaders making the greatest positive impact on their companies and the chemical industry published in ICIS Chemical Business magazine. “I’m incredibly humbled to accept this award on behalf of the 13,000 men and women of LyondellBasell who are setting new standards for excellence in our industry each and every day,” said Bob Patel, CEO of LyondellBasell. “For me, this honor isn’t about one individual, but what our entire team around the world is doing collectively every day to advance solutions to our greatest challenges and the positive future we know is possible,” he added. Innovation (technology, product, business process) with an impact on industry and society. 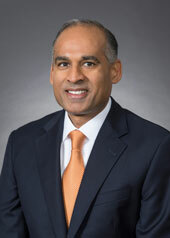 “Taking a disciplined approach to capital spending, LyondellBasell, led by CEO Bob Patel since the start of 2015, has made incremental US ethylene capacity expansions rather than building a new cracker,” said Joseph Chang, global editor of ICIS Chemical Business. “This set the stage for major downstream investments in polyethylene (PE) and propylene oxide/ tertiary butyl alcohol (PO/TBA) on the US Gulf Coast, as well as the recently announced acquisition of US plastics compounder A. Schulman,” he added. For more information on the ICIS Kavaler Award, please contact Lauren Waugh at ICIS, lauren.waugh@icis.com, +44 (0)207 911 1310 or Roland Stefandl at The Chemists’ Club, RStefandl@epolychem.com, +1-201-888-0440. RELX Group is a global provider of information and analytics for professional and business customers across industries. The Group serves customers in more than 180 countries and has offices in about 40 countries. It employs approximately 30,000 people of whom almost half are in North America. RELX PLC is a London listed holding company which owns 52.9% of RELX Group. RELX NV is an Amsterdam listed holding company which owns 47.1% of RELX Group. The shares are traded on the London, Amsterdam and New York Stock Exchanges using the following ticker symbols: London: REL; Amsterdam: REN; New York: RELX and RENX. The total market capitalisation is approximately £29.7bn GBP / €33.7bn Euro / $41.4bn USD. LyondellBasell (NYSE: LYB) is one of the largest plastics, chemicals and refining companies in the world. Driven by its 13,000 employees around the globe, LyondellBasell produces materials and products that are key to advancing solutions to modern challenges like enhancing food safety through lightweight and flexible packaging, protecting the purity of water supplies through stronger and more versatile pipes, and improving the safety, comfort and fuel efficiency of many of the cars and trucks on the road. LyondellBasell sells products into approximately 100 countries and is the world’s largest licensor of polyolefin technologies. In 2018, LyondellBasell was named to Fortune magazine’s list of the “World’s Most Admired Companies.” More information about LyondellBasell can be found at www.LyondellBasell.com.